The Super Hero team up of a lifetime, featuring iconic Marvel Super Heroes Iron Man, The Incredible Hulk, Thor, Captain America, Hawkeye and Black Widow. When an unexpected enemy emerges that threatens global safety and security, Nick Fury, Director of the international peacekeeping agency known as S.H.I.E.L.D., finds himself in need of a team to pull the world back from the brink of disaster. Spanning the globe, a daring recruitment effort begins. 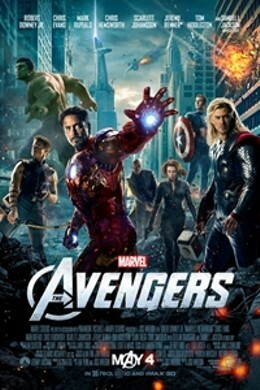 Marvel's The Avengers is not showing in any theaters in the area.